The news first appeared in USA Today, with a headline in the Life section that read, ""Cats May Pounce on a Stage Near You."" The Friday, February 2 issue hit newsstands, mailboxes and driveways at dawn. The first e-mail application for a production of Cats hit the R&H web site at 8:27AM.Cats: the longest running champion in Broadway and London history. The winner of 7 Tony Awards including Best Musical. The show with nine lives, the show which coined the phrase ""Now and Forever,"" the show that set Herculean stage records before triumphing on CD, television, video, and DVD. The show which has earned more than $1.6 billion worldwide so far. Cats, for the first time, is about to be made available for production in the U.S. and Canada. ""Get set,"" predicted Theatre.com, ""for a population explosion of Grizabellas and Rum Tum Tuggers."" 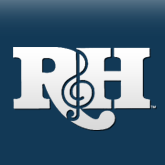 Effective immediately, and by arrangement with the Really Useful Group (RUG), The R&H Theatre Library is the exclusive U.S. and Canadian licensor for six musicals composed by Andrew Lloyd Webber: Cats, the also never-before-released Aspects of Love, SONG & DANCE (which has already been in our catalogue since its release a few years ago) and a trio of internationally renowned blockbusters: Joseph and the Amazing Technicolor Dreamcoat, JESUS CHRIST SUPERSTAR, and Evita. 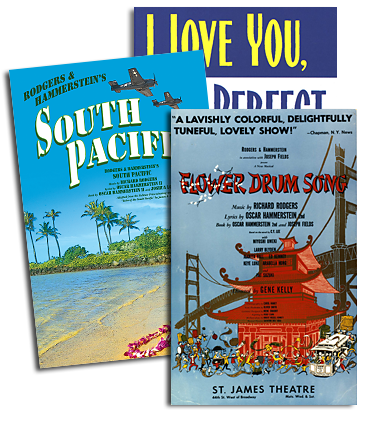 Four of these musicals are currently available for production. Cats, understandably the one gathering the most attention, is also the title getting the most scrutiny in preparation for its release. The R&H Theatre Library is accepting applications for Cats, though no performance dates can be confirmed at this time. We hope to have Cats out of the bag in the near future; customers are invited to contact the Theatre Library at theatre@rnh.com for updates. Also in the final stages of preparation is Aspects of Love, based on David Garnett's bittersweet novel of the Bloomsbury set; a sophisticated musical for a like-minded audience, it features a score that is appropriately intimate and elegant. The R&H Theatre Library is delighted to host all of these prestigious titles, and the response to our February announcement has been tremendous. This spring, Jesus Christ Superstar generated enormous interest, thanks in part to a recent Broadway revival along with a well-received new TV production, which aired on PBS at Easter time. Evita is also enjoying a resurgence since the release of the Academy Award winning movie version starring Madonna, and a U.S. National Tour last season, with major productions set this summer for the St. Louis Muny, and Atlanta's Theatre of the Stars. As for JOSEPH..., the refrain ""Go go go Joseph"" has taken on new meaning here at the R&H Theatre Library, where scripts and scores for this Biblical songfest are flying off the shelves, affirming the work's popularity across the religious spectrum, and from professional theatres to junior high and even elementary schools. Not to be overlooked, SONG & DANCE continues to do well as both a provocative twin-bill (the first act a one-woman tour-de-force song cycle, the second act an ensemble dance piece) and as two separate works. ""Since its inception,"" says R&H President Ted Chapin, ""our Theatre Library has grown to be a vital component of the organization as a whole, and its growth is, of course, dependent on offering more shows for our customers to present. To be the place that represents the musicals of Andrew Lloyd Webber is more than an honor for us. With Andrew's oft-stated admiration for Richard Rodgers balanced by our admiration of his works, this is a perfect match."" For more information on the R&H Theatre Library representation of six musicals by Andrew Lloyd Webber, please visit our new RUG ""splash page"" accessible from the ticker-line on the homepage of www.rnh.com, or contact theatre@rnh.com.